Larry K. Collins co-wrote, 31 Months in Japan: The Building of a Theme Park, a memoir about building Universal Studios, Japan, Murder…They Wrote and Murder in Paradise, with his wife, Lorna. Their latest collaboration, The Memory Keeper, a historical novel set in San Juan Capistrano, was published in 2014. He also published a book of short stories, Lakeview Park. He is currently working on the sequels in The McGregor Chronicles. He lives in Dana Point, California, visits Hawaii whenever he can, and surfs every weekday. Larry K. Collins takes us on a journey into the lives of fifteen individuals in Lakeview Park: A Short Story Collection. Some of the stories are loosely depicted on the lives of actual people with an added twist. One stable character in the book is Carlos, the head groundskeeper, whose life intermingles in some of the stories. There are stories for everyone, from tearjerkers to nostalgia. Each chapter is named after the main character of the story, which draws you into the story in a personal way. Not only will you enjoy each and every story, but you will be touched by the storyline of each character, and you may find yourself or someone you know in one of them. Lakeview Park: A Short Story Collection by Larry K. Collins is a well-written, easy to read collection of short stories that are entertaining with an essence of emotions displayed with each character. Each story in Lakeview Park: A Short Story Collection is intriguing as it interweaves and interjects a personality of its own. I am looking forward to more work from Larry K. Collins to see what web he weaves in his next book. 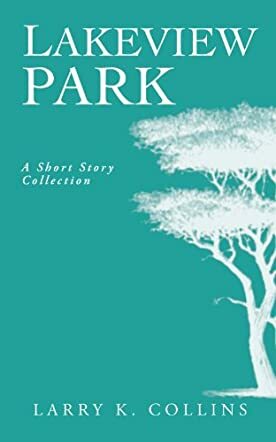 If you like to read a collection of short stories that draws you into the characters, pick up a copy of Lakeview Park and get ready for the emotional roller coaster; you will be glad that you did.